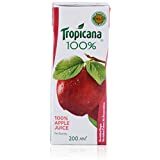 Tropicana 100% Apple fruit juice with no added sugar for a healthy you. 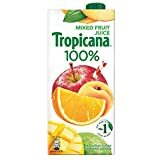 With no added preservatives, color or artificial flavouring, Tropicana puts the good in morning. 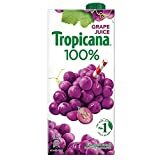 Add a glass of Tropicana 100% to your breakfast and give your day a great start. Its 9 nutrients revitalize your body and awaken your senses. Be alive, all day long. You are about to start breakfast, when suddenly, there is some urgent office work that needs your attention. Whatever the excuse, it is always breakfast that is left incomplete. 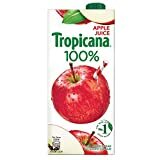 That is why Tropicana 100% apple juice with the goodness of 9 nutrients is required for you to stay healthy. A whole glass of nutrition, it completes your meal. 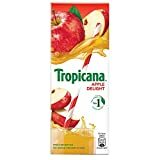 But Tropicana juice online now! Water, sugar, apple juice concentrate 7%, acidity regulator (296). Contains permitted natural colours (150d, 160a(i)) and added flavour.